Set in nineteenth-century New England, this exquisite novel tests a woman’s love against her husband’s utopian quest. Sophy Hedge, the daughter of the town minister, falls in love with Gideon Birdsall, a gifted theology student assisting her father with a Hebrew lexicon. Sophy, an amateur artist, is drawn to his angelic looks, which seem to embody his intellect, passion, and idealism, while Gideon glimpses in her a child of nature unbound by convention. Yet after they wed, Gideon’s restlessness worries her, and she struggles to connect with him as he flounders in his new roles of pastor and family head. When the mysterious and magnetic teacher Leander Solloway enters their lives, Gideon believes he has found a like soul. As the schoolmaster gains influence over her husband, a newly pregnant Sophy translates her fears into secret paintings. In a daring experiment to unlock the mysteries of the first language, the primal tongue spoken in the Garden of Eden, Gideon and Leander attempt to recreate a pristine and tightly controlled environment in which to raise the baby. Isolated from the influence of family and neighbors, they hope to witness the genesis of a pure speech while “raising up this fallen garden by the same means as it was created: word by word.” But “Paradise is a worm that eats at the brain,” and Sophy, unaware of their intentions until it is too late, must decide whether to live in the world her husband has made or escape to save her child and herself. 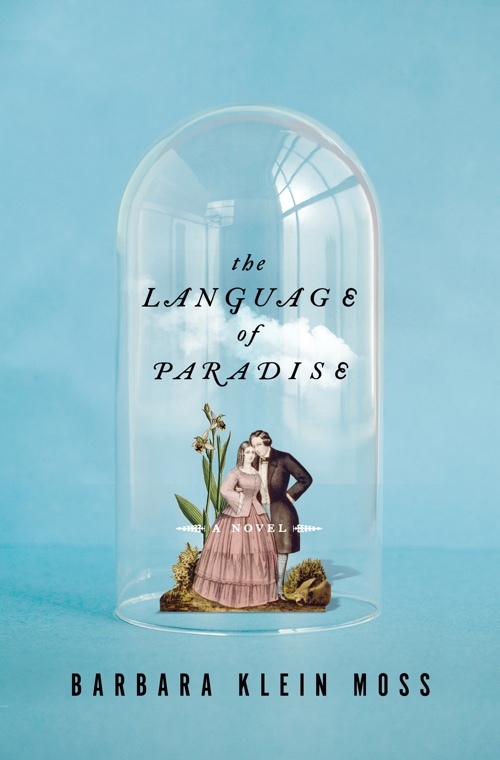 Addressing the timeless issues of creation, possession, and the elusive dream of perfection, The Language of Paradise captures the fragility of human longing.